Have one or more of your neighbor’s homes recently been broken into? Did that make you worry about something similar happening to your own home? It did to me when it happened at one right next door. I decided then that it was time to take the matter into my hands and hence, I decided to buy a wireless security camera for my home. Now continuing on to the wireless security cameras and system for homeowners. A true plug and play system, Reolink is easy for any first-timer to install and is the easiest wireless security camera system ever. The Wi-Fi configuration installation requires zero effort. Not even running of cables through the house. So, it is an affordable one for the DIY homeowner or business owner. Remote access to the security feed is available using iPhone or Android along with the free Reolink app at any moment. It is both an indoor as well as an outdoor camera so, it is weatherproofed for a wide range of climates. The Reolink offers full 1080p HD resolution and 24/7 continuous recording. The night vision ranges up to 100 feet with an 80° viewing angle. Experience full 1080p HD video with the Lorex High Definition Digital Video Recorder. 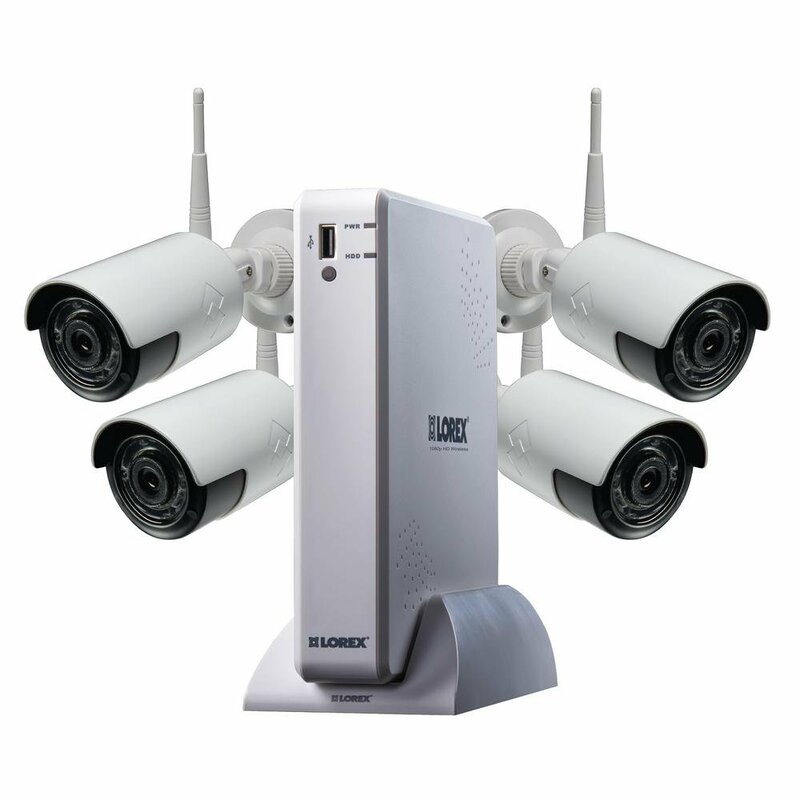 This wireless video security camera is the perfect blend of high-capacity storage and a powerful performance. A security-grade hard drive is pre-installed, allowing you record days of high definition footage. It is easy to set up with Do-It-Yourself and also without running video cables. Excellent night vision with 12 powerful infrared LEDs on each camera. It also offers free FLIR Secure remote monitoring apps for the smartphones, tablets, desktops, and laptops. A simple security system to setup and use. Just plug the cameras in and you have a great image up and running in no time. The corsee security camera system is like a typical camera and NVR combination. One simply can’t go wrong with this system. The App is good and allows you to view motion alerts on a smartphone or a computer. The good quality cameras, sharp night vision are both amazing with wider viewing angle and clearer image. It offers good WiFi range. There are also different settings for brightness, the image quality, contrast, and recording schedules. 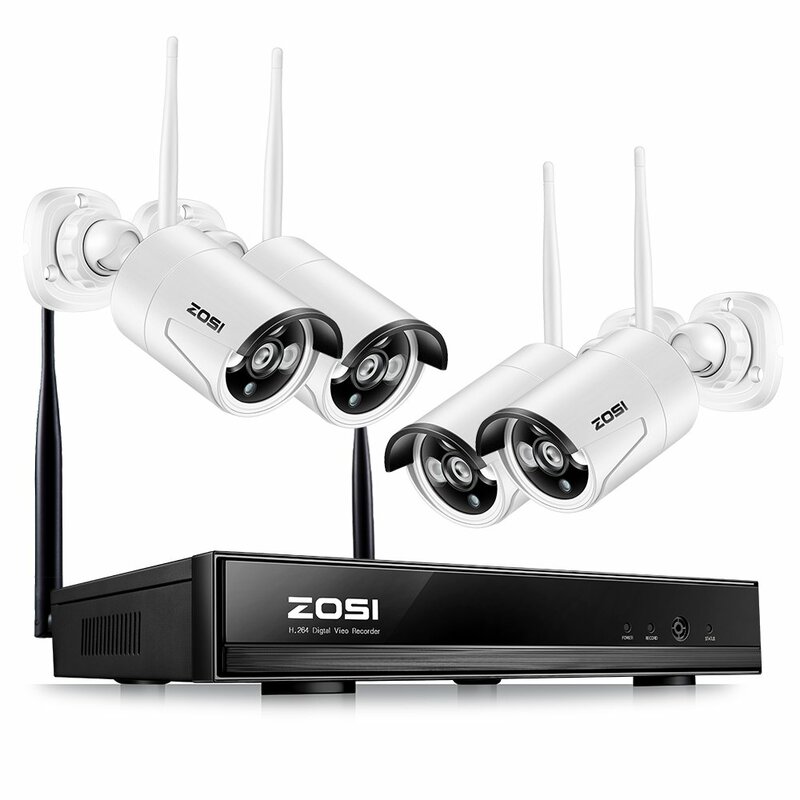 This wireless security system comes equipped with a 4 channel 1080p Full HD wireless security and 4x 1080p HD IP66 outdoor night vision wireless cameras. With a built-in router and two external WiFi antennas, it ensures a strong and a stable WiFi connection.This camera system can be installed indoors and outdoors to fully cover the home and business area. The system includes 3 infrared LED arrays which allow view up to 80 ft in the total darkness. Instant email notifications can be received whenever motion is detected. The built-in HDMI port allows using it with HD TV. 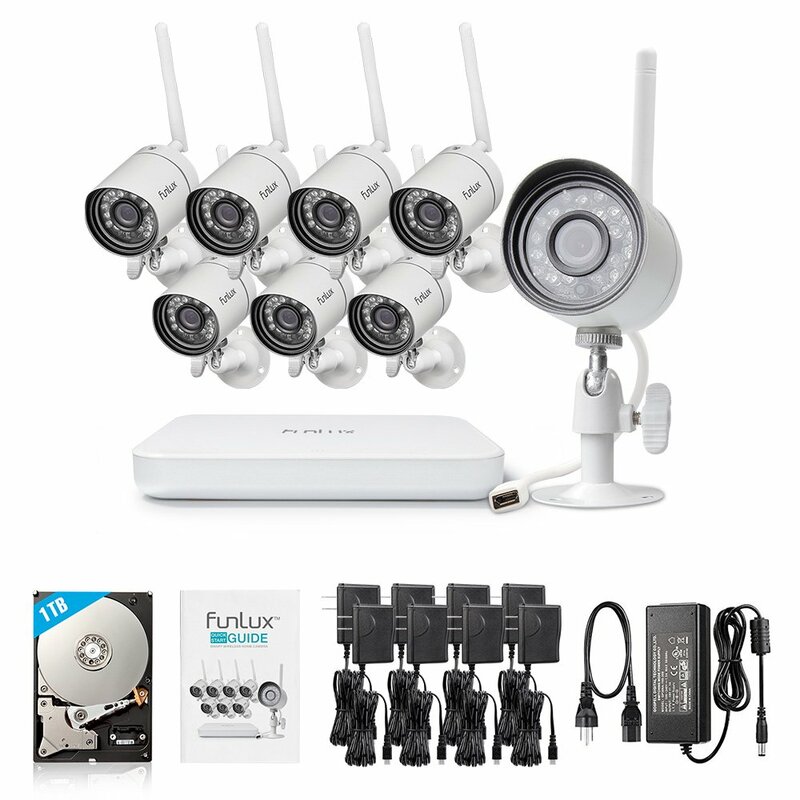 Funlux wireless camera is a smart camera which allows you to keep tabs on at home remotely through your mobile. With this camera, take control of the home’s security installing multiple cameras from multiple angles. The homeowners have the best experience with this as it is meant for guarding a larger property. It is easy to install and mount. It comes with a 4 feet power cord. For a longer length, one can always opt for a longer one. The app is free and isn’t flashy but it does the job. Considering the affordable price tag, there isn’t much reason to complain. On top of this, there is a 60-day return policy as well as a free 2-Year Warranty, and a Lifetime technical support. This Zosi camera is very reasonably priced. The field of view on the camera is surprisingly clear and also quite wide. The 4.6mm lens of this home security camera captures everything very well. Its 42 infrared LEDs ranges up to 110 feet at night. It also comes with special features like AGC (Auto-Gain Control) and BLC (Backlight Compensation) which makes the image quality even better. Moreover, it is weatherproof and a sturdy camera. 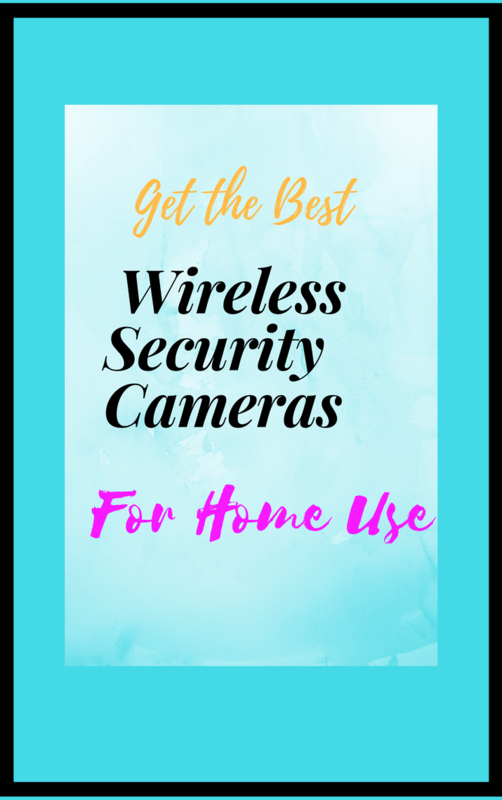 Finding and buying the best wireless security cameras for your home security is definitely challenging if you have no clue what to look for or whether the one you got will work well or not according to your needs. The whole setting-up and installation process is another rough job in the process, but you can always find installation guides.Both would cost you but one can’t put a price on peace of mind which a wireless home security camera system will definitely bring you. I’ve actually been in the market for a security camera so this post was right on time. After reading it, I think I’ll go with the FunLux. Thanks for the comparison. glad you found the post helpful,with the many security cameras in the market, it can be confusing which one to buy, do you need an indoor camera or an outdoor, night vision etc.But looking around forst helps make such decisions easier. Very informative. I do not live in a house anymore but was able to find something for my apartment. This would have helped me a lot when I was looking. Appartments too do need security, you never know who will want to break into your appartment, being in an appertment, you can always use indoor security cameras to keep your apartment safe and protected. I am searching for security cameras but I wasn’t aware I should see for the features too, like it’s just slipped from my mind; but thanks to you. Your post has for real helped me.